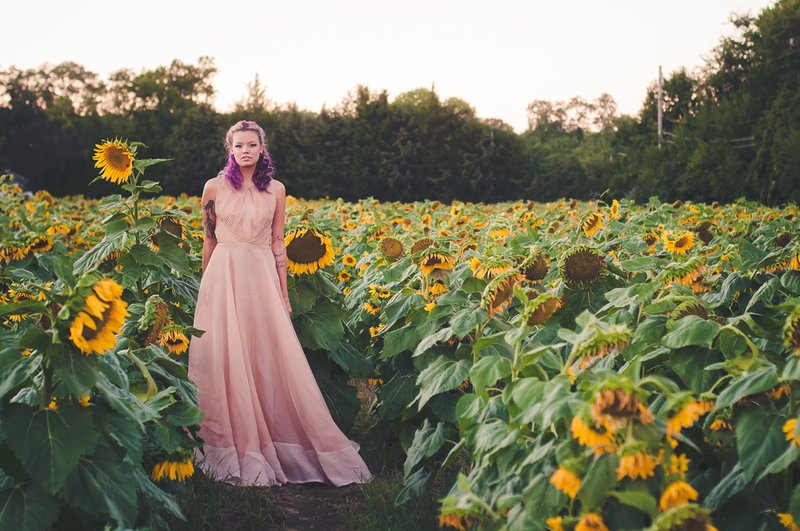 My amazingly talented friend Nicole Shaw, and her coworker/fellow fashion designer Laura made the trek from Philadelphia down to NJ to shoot a few of Nicole's amazing gowns in the now-famous sunflower field in Wrightstown, NJ. 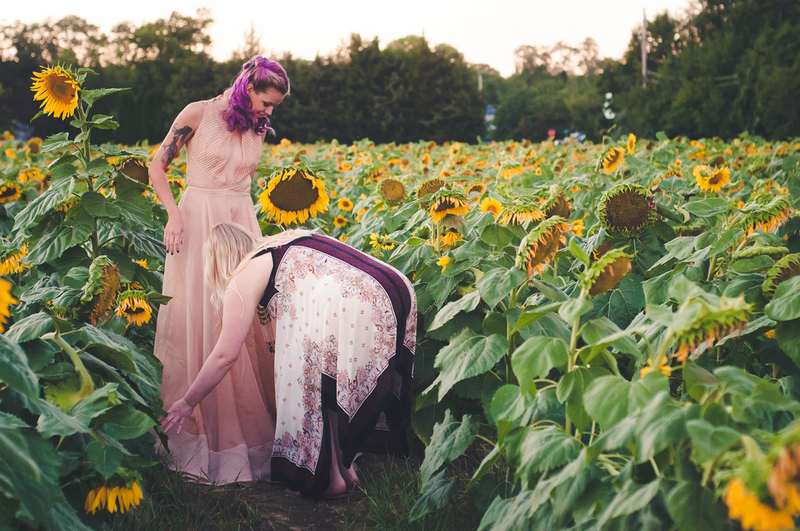 Nicole's gowns are absolutely exquisite, and I've been dying to shoot some of her designs for quite some time now, so when she messaged me about the sunflower field, we jumped on the opportunity, Laura's purple hair contrasted so perfectly with the greens and yellows of the field, and Nicole's soft pink bridal gown created a subtle, muted tone to the images. Honestly? 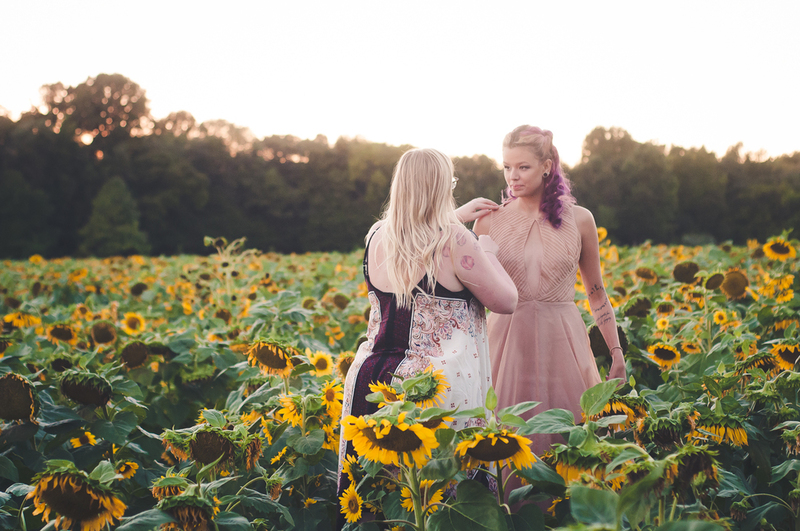 I'm in LOVE with these images. What do you think? !